Jennifer qualified as a solicitor in 2005 and has extensive experience in advising clients of all shapes and sizes on all aspects of Corporate, Commercial and Commercial Property Law. Jennifer’s experience and knowledge of Property, Corporate and Banking allows her to provide an unrivalled joined up commercial service to businesses without the need to explain matters to numerous different people. Jennifer prides herself on the day to day contact she has with clients and the long term relationship she maintains with them as a trusted advisor. Jennifer also has a specialist knowledge and understanding of road transport law covering goods and passenger transport which allows her to tailor her advice on corporate, commercial and property matters so that key aspects of a client’s business (such as the operator’s licence) are protected. Career: Jennifer trained at KBL Solicitors and qualified in 2005. 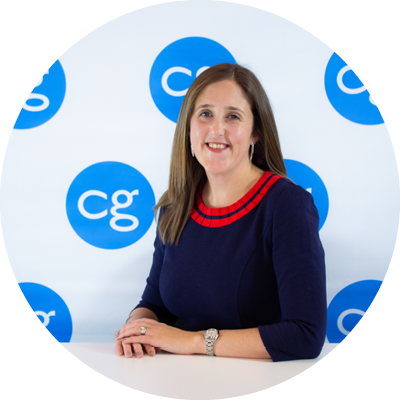 Prior to joining CG Professional Limited, Jennifer has worked at DWF in Manchester, Backhouse Jones Solicitors and more recently Forbes Solicitors.